Takeaway: Whey and soy protein, BCAAs, casein, L-glutamine, and creatine are six of the best nutrients for muscle building. 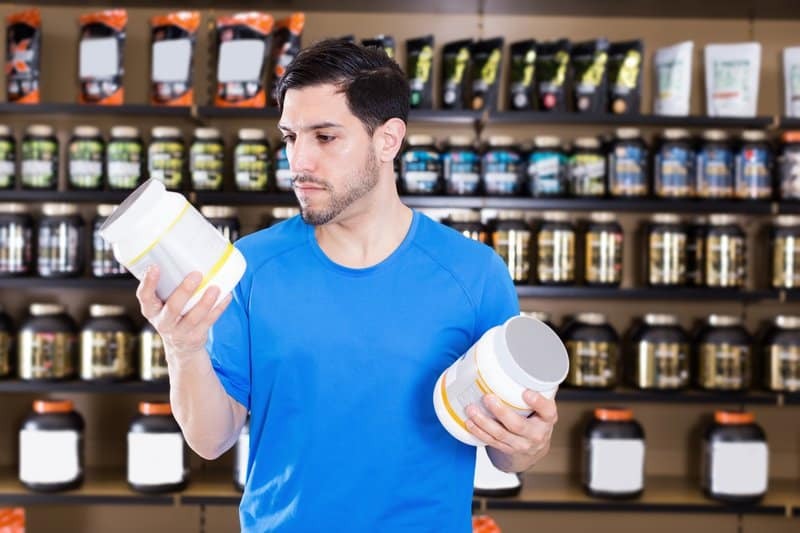 When looking for a muscle building supplement, make sure to read the nutritional label to ensure that at least one of these key ingredients is found in the supplement of your choice. So, you’ve made the decision to take working out seriously. That’s great! Starting is normally the hardest step, but staying consistent is equally as important. While diet should be considered the bedrock of every successful muscle building strategy, many times supplements can help speed things along and deliver results that simply cannot be obtained without them. But, there are SO MANY supplements on the market. It can be a gargantuan task deciding which you should take and continue with for the best return on your investment especially if your budget is limited. But, what are the best supplements for building muscle? We have tried to help you along on this journey. We have cut through the fluff and are giving you the 5 best muscle building supplements out there. Are you ready to take your physique to the next level? Then let’s go! What are Muscle Building Supplements? What is the Best Muscle Building Supplement? While you may think that the answer is pretty self-explanatory, and to an extent, that is true, there is a complete world out there when it comes to muscle building supplements. We could give you a simple answer and say that a muscle building supplement is simply a product that builds muscle, but your time would be better spent learning what they do. Muscle building supplements do not belong to any single class of products, but rather many different categories that work to optimize one or more aspects of the process of muscle protein synthesis. If you have never tried any of the categories mentioned above, have no fear, by the time you have read this, you will be armed with new-found knowledge. Just half a century ago the number of options for protein sources were extremely limited; and even more so, if you were looking for a protein powder. Fast forward to today where we have several options to choose from. But, with so many options, which is the best protein powder for building muscles without an exponentially long waiting time? That accolade would go to none other than whey protein, one of the best muscle supplements on the planet. Why whey protein? For starters, the purity of whey protein is unmatched. Depending on the specific type of whey protein you choose; be that concentrate, isolate or hydrolysate, you are getting at a minimum 80% protein. Isolate and hydrolysate yield even more pure protein per gram and less of what you don’t want, lactose and fat. Secondly, and more importantly, is the speed of whey protein. After drinking a whey protein shake, it is quickly broken down into constituent amino acids and starts being absorbed in as little as 15 minutes. Whey hydrolysate, which is the fastest of all whey proteins, is already partially broken down and may hit your bloodstream even faster, making whey ideal for after your workouts. You can also have some whey when waking in the morning if breakfast is a little later, and you need a shot of fast-acting aminos to kick start the muscle building process. When you lift weights, muscle fibers repetitively contract and stretch, developing microscopic tears in the process. In order to facilitate rapid rebuilding, the body needs protein which is broken down into individual amino acids and later used to make the muscle fibers larger and stronger. All amino acids are not the same, nor do they all have the same anabolic (muscle building) potential. Rather, the best amino acids for muscle growth are three known collectively as the Branched Chain Amino Acids (BCAAs). The three BCAAs, namely Leucine, Valine and Isoleucine, are all considered essential to the human body since they cannot be made but must be obtained from the diet. This could explain why diets that are lower in these particular amino acids are more likely to result in impaired muscle building. There is also the common misconception that BCAAs are unnecessary if using a protein supplement such as whey, which is naturally rich in these amino acids. However, timing is crucial when trying to build muscle. The amino acids in whey protein are bound in a peptide chain which takes time to be broken down. The BCAAs found in dedicated supplements are considered “free form” since they are readily absorbed upon consumption and spike the blood with a higher level of free aminos to kick start the rebuilding process. Truly an invaluable supplement to add to your arsenal. When browsing through the multitude of supplements for muscle mass, it is easy to get confused. The truth is, NO SINGLE supplement can claim to be the best, as many of them work synergistically together to help you achieve your goals. Nitric Oxide Boosters enhance blood flow and circulation helping muscles get oxygen and nutrients delivered. Micro-Nutrient Blends supply essential vitamins and minerals needed to facilitate the body’s numerous biological processes. Deficiency can impair or halt muscle growth altogether. Fatigue Buffers can help to neutralize pH changes that occur during exercise and allow you to work out harder. Nutrient Partitioners help shuttle nutrients such as glucose preferentially into muscle cells instead of being stored as fat. Protein supplements supply the raw materials in the form of amino acids to initiate structural muscle repair and growth. Casein is very underrated, being passed up for its more famous counterpart, whey. However, the truth be told, while whey has certain advantages, it is not best suited for sole consumption. Casein protein is best suited for periods when urgency is not necessary such as mid-morning or mid-afternoon periods when you need reliable and slow released aminos in your body. As for consumption before bedtime, casein supports protein synthesis for several hours while life happens. It is considered anti-catabolic as well, meaning that muscle breakdown is impaired thanks to its slow release of amino acids, so you can rest easy if you miss a scheduled meal during the day. 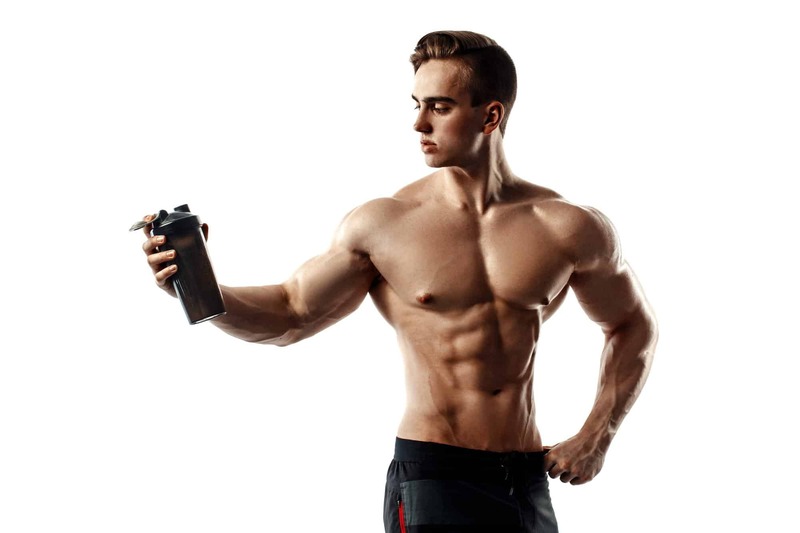 Comparatively speaking, studies have indicated that casein can lead to significantly greater weight loss, strength and of course, muscle gain when compared to whey, making it the winner in the hotly contested debate about which is better. The only time it is not ideal for consumption is immediately post-workout when whey’s speed is superior. Opt for a micellar casein supplement for best results and consume one serving twice daily. Did you know that glutamine is the most abundant amino acid found in muscles? Comprising over 60% of all muscle tissue in the body, glutamine also plays supporting roles in maintaining gut and intestinal health, as well as helping preserve the integrity of the body’s many mucous membranes. Not surprisingly, glutamine plays important roles in the process of muscle protein synthesis especially while you are attempting to lose weight. Weight loss can accelerate muscle loss as well if you are not careful. Supplementation with L-Glutamine can help prevent this, however, thanks in large part to its anti-catabolic processes. This effectively prevents your hard earned muscle from being broken down when you are trying to lose weight slowing down your metabolism in the process. But glutamine can also support your ability to build muscle since it is approximately 19% nitrogen by mass contributing significantly to your body’s ability to maintain a positive nitrogen balance. A positive nitrogen balance is one indicator that protein synthesis exceeds breakdown and means that you are gaining lean mass. What about weight loss? It turns out L-Glutamine supplementation can also help improve your body’s ability to lose weight, enhancing natural growth hormone production (especially during sleep) and improving metabolism. Though not as noticeable as thermogenic-stimulant based supplements, it does a great job of making natural weight loss sustainable. 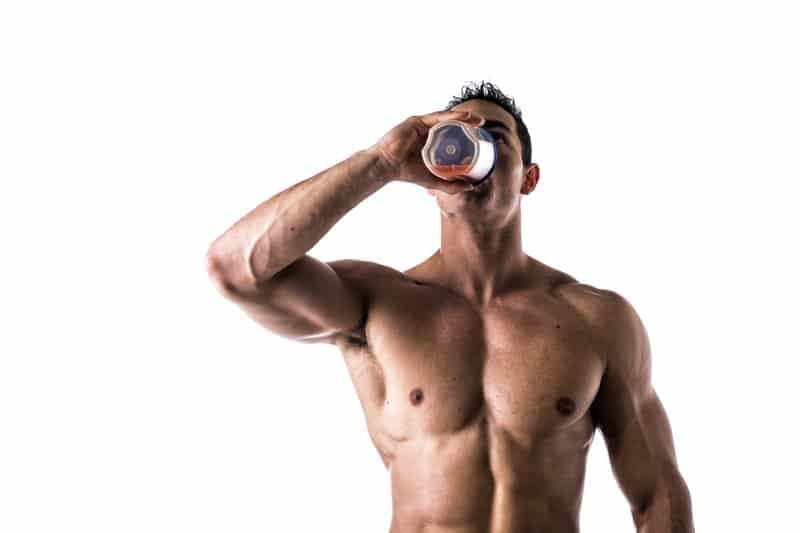 If you are using a protein powder supplement, chances are you are already getting a bit of glutamine in your diet, but with recommendations for athletes and bodybuilders standing at between 10-15g daily, you will need some more to cover these requirements. Try to shoot for another 5g immediately upon waking in the morning and 5g before going to bed. Amongst the long list of supplements that you may find, L-Glutamine leads the list of best supplements for weight loss and muscle gain. When it comes to a singular best muscle gain supplement that can take your muscle gain and strength to the next level, nothing comes close to Creatine. One of the most studied supplements on the planet, creatine is produced in small amounts by the body and can be obtained via diet, though you are going to have a hard time consuming enough foods to get your daily intake. Rather, consuming a creatine supplement, such as the immensely popular creatine monohydrate form is the best use of your time and works out the best from an economic standpoint. But what exactly makes Creatine so good? The answer lies in its ability to help support energy generation. Your body relies on an energy currency known as adenosine triphosphate, or ATP for short, in order to facilitate muscle contraction. However, the body’s ability to produce ATP is limited per unit time, meaning that a point will be reached when fatigue and failure set in. Creatine is able to donate its phosphate group to the body, enabling it to convert ADP (adenosine diphosphate) into ATP more rapidly. The end result? You are able to perform more repetitions or work out for a brief period longer before fatigue. Soy protein’s popularity has dwindled in the past quarter century while others like whey and casein have exploded. But why is this so? It has a lot to do with the chemical structure of soy. Soy protein contains compounds known as isoflavones which share a chemical structure closely related to that of the female hormone estrogen. In men, excessive soy consumption (be that protein or other soy-based products) may interfere with the production of androgens and is less than ideal. So while soy is one of the best muscle building supplements for women, it should be used very cautiously in men. However, when women consume soy protein, there are no issues relating to suppressed testosterone production and have several other advantages. Amongst these is the fact that soy protein supplementation can reduce oxidative damage affecting muscles in women meaning that less is broken down. Soy is also considered a complete protein source since it contains all the essential amino acids the body needs and will support muscle protein synthesis just as well. No longer do you need to wonder what is the best muscle building supplement for women, as soy has taken that prize. However, It is still a great idea to combine your soy-based protein shake with whey and casein for synergistic effects on increasing muscle growth.